Brigadier General (res.) Ram Shmueli: No one can beat our air force pilots; canceling ambiguity stems from professional considerations. Hashomer Hadash Chairman Brig. Gen. Ram Shmueli, a former combat squadron commander, commander of two air force bases, IDF intelligence division head, and among the planners of the attack on Syria, spoke about the latest Israeli attacks on Syrian soil. 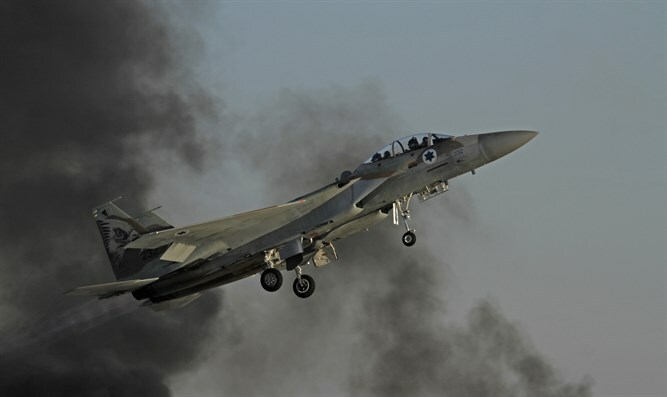 At the outset Shmueli was asked about the risk of air strikes such as those in recent days in Damascus, considering reports of large-scale anti-aircraft fire at IAF jets during the attack. "Combat flight isn't a simple profession, and we have to be very alert. A year ago we also had a plane crash," Shmueli recalls. "It's complicated, but we're training on that; I'm still a guide at the flight school and we're educating the pilots to know how to defend themselves," said Shmueli, "But don't forget the purpose of the flight, because that's what we took off for, to defend the people of Israel. Regarding the confrontation with a Syrian army whose situation is difficult given the overall reality in Syria, Brigadier General Shmueli says the Syrian army is in a complex situation, but it must be remembered that the anti-aircraft systems it operates are modern and sophisticated Russian anti-aircraft systems. "There are systems that are very modern Russian systems. I won't give them a grade on the operation, but the most important thing is that we carry out the mission, and we're measured by the tasks the government and the Chief of Staff directed the pilots." On the quality of the Air Force's defense system and their unique performance against missile launches such as Saturday's launch, Shmueli emphasizes: "A missile was fired at the Golan Heights. Young officers and fighters sit on 24-hour alert while nothing happens, then suddenly a missile is launched. See how quickly they responded, without waiting for approval from superiors. They fired the missile on time so the interception would take place over Syrian territory. These are our boys in the antiaircraft batteries, in air defense emplacements, and the underground bunkers, and of course the pilots who scramble to provide an answer to the Iranian elements who want to establish themselves in Syria." He says the uniqueness of the Israeli Air Force is, among other things, the ability of young controllers to operate systems according to local and immediate professional decisions. "A 22-year-old controller can scramble fighter jets without submitting a request because these are the lines he knows, and so it is with the Iron Dome operator when a projectile is liable to penetrate Israeli territory, as well as a fighter pilot who destroys targets from which anti-aircraft missiles are fired. "The State of Israel has warned Syria: Don't shoot at us because we're attacking the Iranians inside your territory. When they mistakenly fired, we destroyed the batteries. This is another battle with the Iranians. We're very determined. 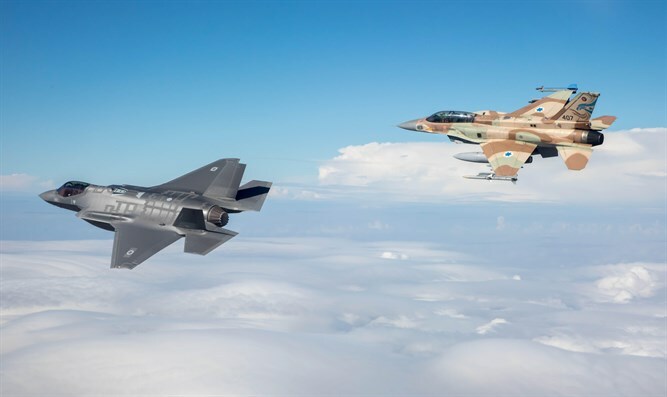 The air force and IDF are very determined. What's exciting, when you meet these young pilots, is the determination, skill, and dedication. With people like that no one will be able to beat us." In light of these remarks about the quality of those in charge in the IDF and Air Force, Shmueli was asked to relate to Major General (Res.) Brick's harsh report on the IDF's inadequate war preparedness. He says a distinction must be made between the younger generation getting familiar and the need to improve in the wake of these and other reports. "My children enlisted in other places, not the air force; one in infantry and one in the navy. I see the equipment and training and the feeling is good, although there's room to improve and that's why there are commanders. I do feel secure, but war is terrible, and in the end the goal is to bring protection to the State of Israel, and that's where we're determined." 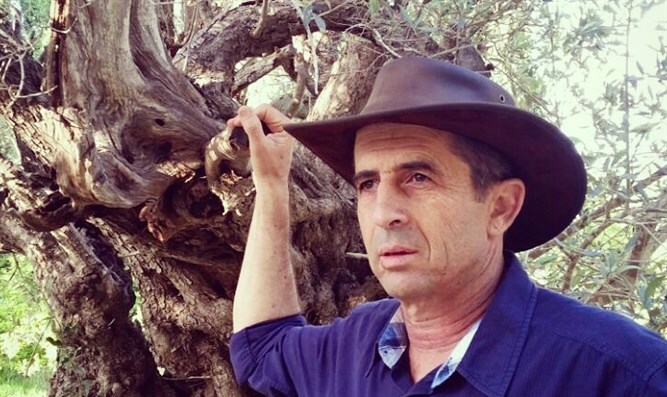 On the recent change in the Israeli policy of ambiguity whereby state and army leaders refused to take responsibility for various actions in the past, Shmueli rejects claims by those who argue ambiguity was canceled for political considerations. "Some would say these are political considerations, but I don't agree. There's an advantage to ambiguity, but there's also an advantage to publicity, and we as civilians don't know the considerations. We must remember that the Iranian people aren't our enemy. The extremist regime of the ayatollahs is our enemy, and if it's sometimes necessary to publish something to embarrass them and make them cautious or for the Russians to intervene, so sometimes it's right to publicize. These are complex considerations and civilians aren't always exposed to them."